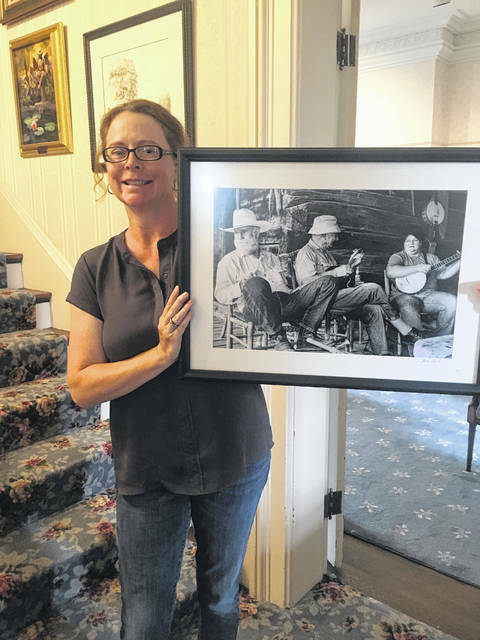 GALLPOLIS — The 50th Annual Festival Competition, sponsored by the French Art Colony, included original works by 49 artists, both professional and amateur, representing four states: Ohio, West Virginia, Kentucky and Illinois. From the 156 total entries, in this jurored competition, the judges selected 74 works, representing several media categories. Selected as Best of Show, in the Professional Division, was a Glass entry, entitled “Octopus’s Garden,” created by Courtney B. Ritchie from Gallipolis. 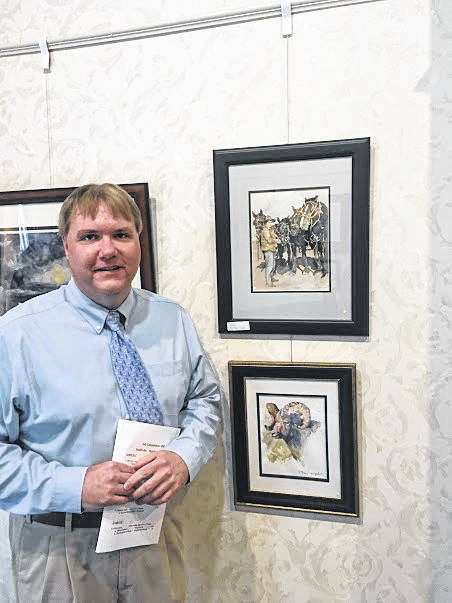 In the Amateur Division, the Best of Show was a watercolor, by Barboursville, West Virginia artist, Kay Weingardt, entitled “Nigerian Child.” Weingardt also received Honorable Mention from the judges, for her watercolor “Papa’s Percherons,” and it was purchased by Thomas Moulton, Jr. Her third entry, also a watercolor, entitled “Ram,” was awarded 3rd Place and purchased by The Wiseman Agency. In the Professional Division, Watercolor, 1st place was “In the Tropics,” by Lisa R. Walden of Huntington, West Virginia, with 2nd place going to Joyce Steele from Catlettsburg, Kentucky, for “City Streets,” and an Honorable Mention for “Winter on Route 3.” Third place for Professional Watercolor was awarded to Bill Meadows of Huntington, for “West Virginia Oil Field.” He also received 2nd place honors for his Ceramic, “Green Crystalline Porcelain Vase” and Honorable Mention for his other Ceramic entry, entitled “Black Porcelain Lidded Crystalline Thrown Jar.” Honorable Mention in Watercolors was given to Maxine Kinnaird from Gallipolis Ferry, West Virginia, for “The Mill Is Now Closed,” purchased by The Wiseman Agency. 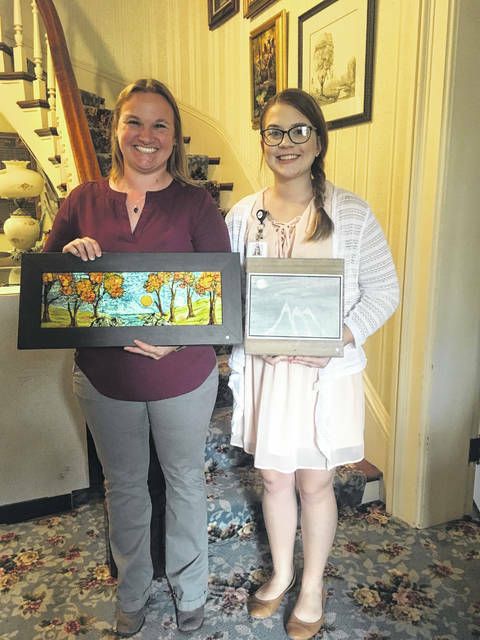 Professional Division awards in Drawing, included 1st place by Monica Broyles of Gallipolis, for “Colorful Night”; 2nd place for “The Beginning,” and 3rd place for “Mountain Stars,” purchased by Lindsay Pennington. All three of her drawings were by permanent marker. In Oil/Acrylics, Professional Division, 1st place was awarded to Debbie Richardson from Huntington, for her “Squirrel Monkey Meets Sock Monkey.” She also received Honorable Mention for “On the Bayou” and “Orange and Grapes.” 2nd place for Oil/Acrylic went to Virginia Carvour, of Columbus, for “Beach Clouds,” and it was purchased by Bruce and Nancy Pennington. 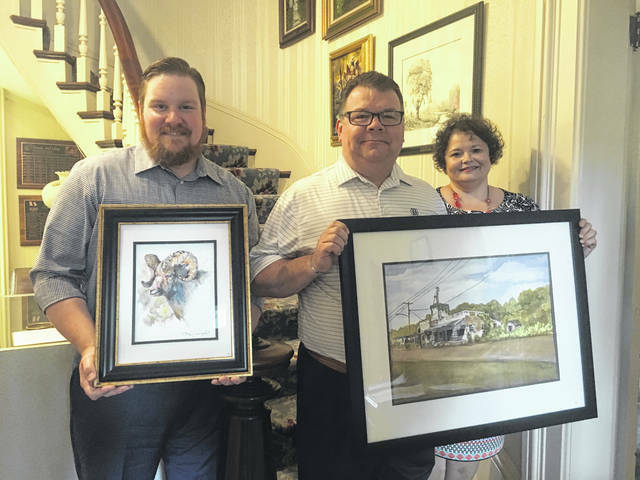 Ms. Carvour also received Honorable Mention for “Summer Path.” Paul Brown of Jackson, Ohio, claimed 3rd Place in Oil/Acrylics, for “Winter Provender.” He received Honorable Mention for his oil, “Iconof a Bygone Era,” purchased by Lindsey Pennington. 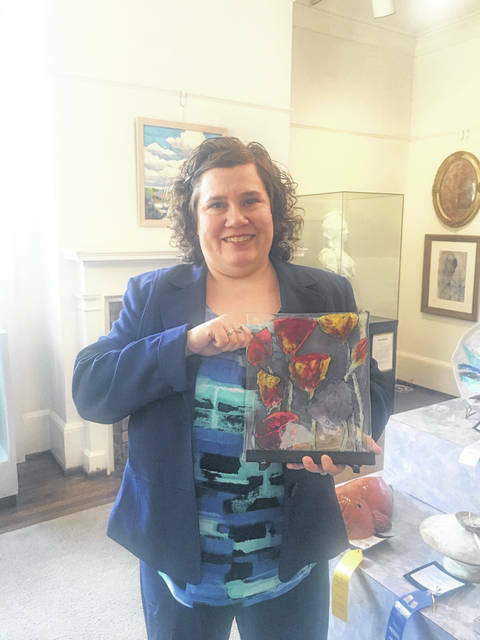 Leona Mackey of Huntington had 1st place honors in Fused Glass for “Spring Flowers,” purchased by WesBanco. 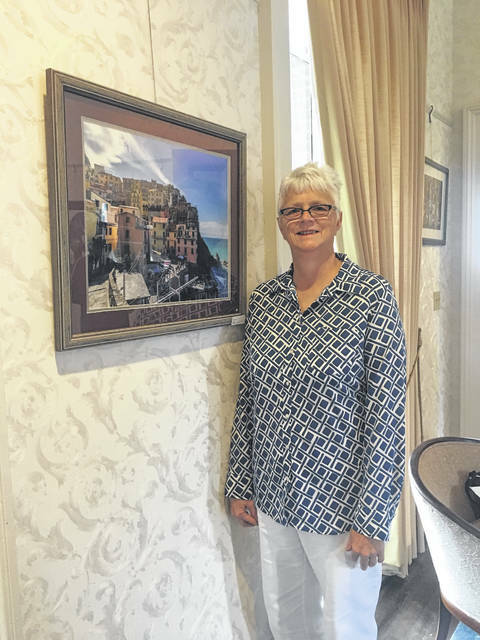 She also received 2nd place for her “Rhododendron of West Virginia,” purchased by Bruce and Nancy Pennington, and 3rd place for her Fused Glass creation, “Elegance.” In addition, she received Honorable Mention for her Encaustic “As Water Falls,” in Oil/Acrylics. 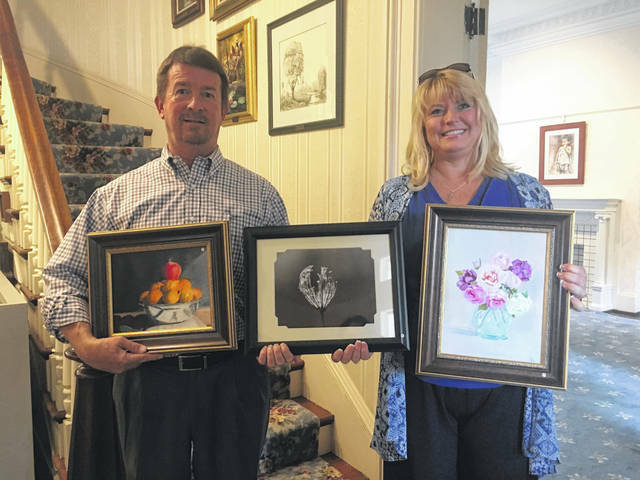 In the Amateur Division, Barb Abels had four entries, all placed. She received 1st place in Mixed Media for her print, “RIP Lenny” and Honorable Mention for her Intaglio Print, “Love Trump’s Hate.” For her two High Fire Ceramics, “Gingerbread Cookie” received 2nd place and “Polly Purebred ” 3rd place. Parkersburg, West Virginia, for “Windy City.” His “Farm Table” received Honorable Mention and was purchased by Pam Wiseman. 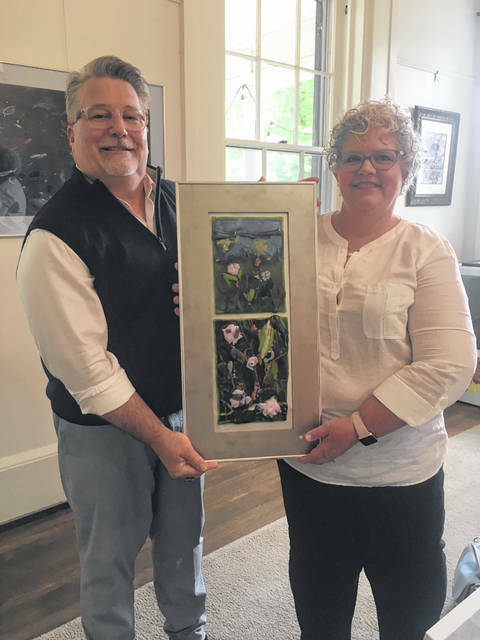 In the Alcohol Ink category, 1st place was awarded to Julia Rice from Jackson, Ohio, for “Garden of Poppies,” purchased by Bruce and Nancy Pennington, She also received 3rd place for “Tranquility,” purchased by Holzer Health System. 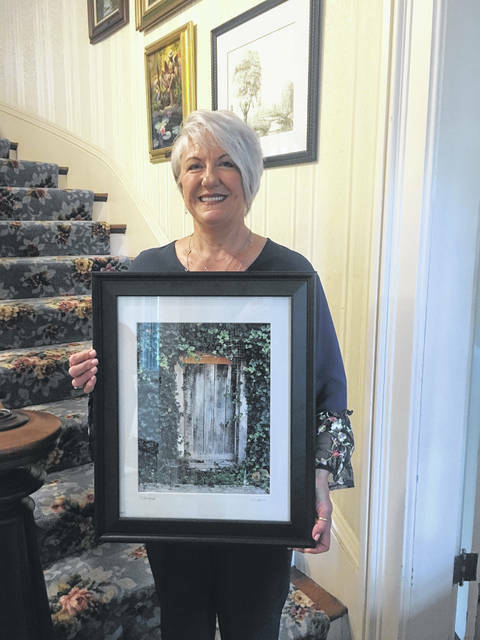 In other categories, Honorable Mention went to Martha Detty Foster from Oak Hill, for her 3-D oil on vinyl, “The Wonder of Water.” In Sculpture, Patricia Parsons from Vinton, received 1st place for “Hector the Hedge Hog” and Honorable Mention for “Bob the Blob,” in red clay. From the Youth Art Entries, four Purchase Awards were made. Gail Belville, from Gail Belville Rental Real Estate, chose Rylie Wolfe’s “Mr. 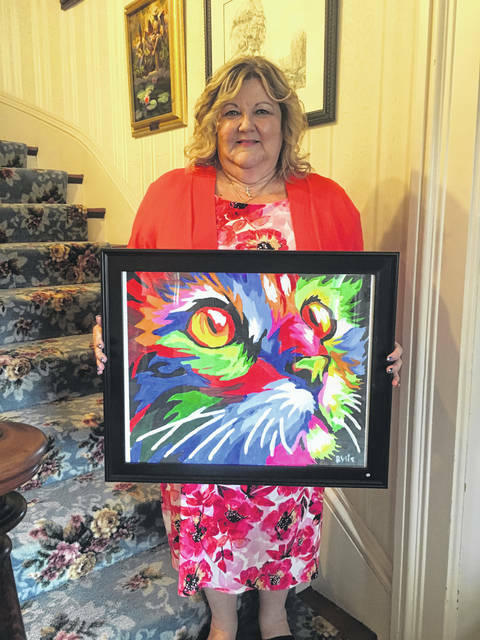 Fluff” and Gabriella McGraw’s “Soaring Eagle.” The Ohio Valley Bank selected “Death of the Queen,” by Conner Nibert and Holzer Health System purchased “Moonlit Mountain,” by Grace Cremeans. 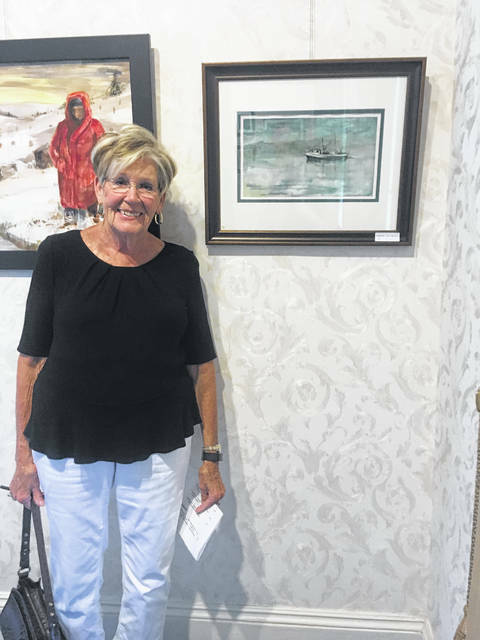 All 74 winning entries were exhibited in the galleries at Riverby, from July 1 through July 22, for the community to enjoy.